It could be one of the oddest collaborations you’ve ever heard of, but it’s no surprise that this album is a already a huge success. This long- awaited duet album by pop phenomenon Lady Gaga and the legendary gentleman of jazz Tony Bennett is finally here. “Cheek to Cheek” combines two artists from very contrasting musical careers, to create a sweet jazz sound. Although Tony’s jazz roots span an entire career, Gaga only started after her first collaboration with him in 2011, when they sang “Lady Is a Tramp” together. Cheek to Cheek is now number one on the Billboard 200 chart. This perfectly mastered album with 11 songs, or 15 on the delux includes popular songs like “Anything Goes” and “I Can’t Give You Anything But Love” – where the duets share verses in perfect harmony. However, there are songs with both artists going solo, such as “Sophisticated Lady” by Tony Bennett and “Lush Life” by Lady Gaga. The album was mainly written by Irving Berlin, Duke Ellington and Jimmy Van Heusen along with others..
dominates the charts, Cheek to Cheek is re- inventing raw vocals and bringing them back to where they belong. Needless to say, the album has beautiful songs showcasing both of the singers’ phenomenal talents. Not to mention. Lady Gaga’s sweet jazzy vocals, something you don’t get to hear in her usual pop songs. This album is definitely a must! 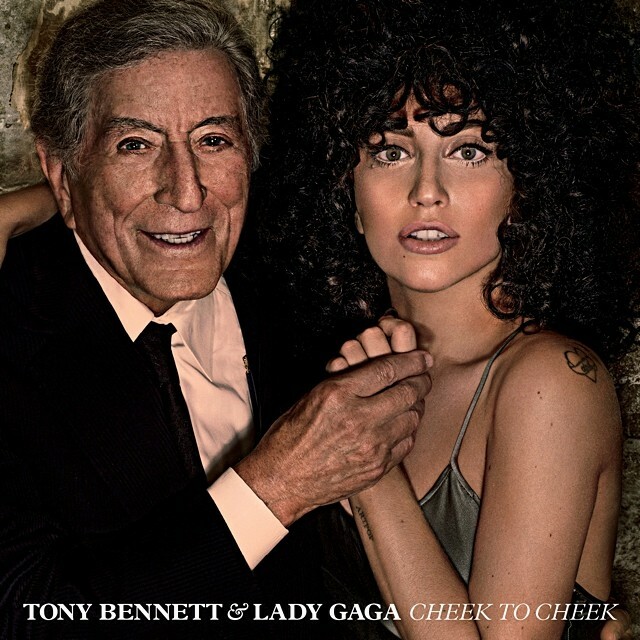 Posted in Music and tagged Album review, Cheek to Cheek, Lady Gaga, Music, Tony Bennett. Bookmark the permalink.